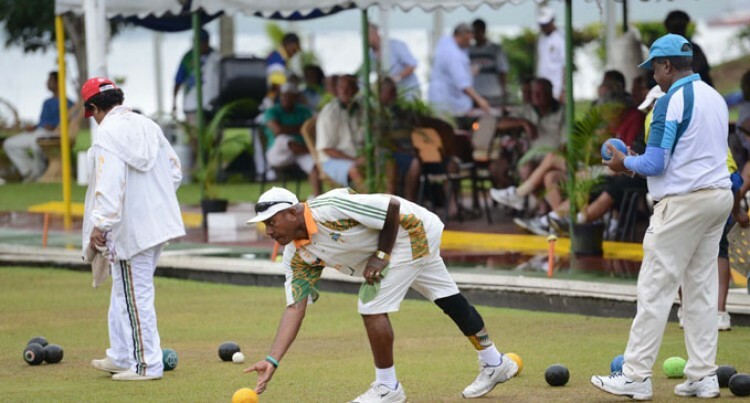 The Pairs division of the 2015 ANZ South Pacific Bowling Carnival wrapped up with the finals yesterday at the Suva Bowling Club in Suva. In the men’s division, Hirendra Bhartu and Ratish Lal were crowned the champions after defeating Wise Senibici and Emenoni Turagabeci in the final with a score of 22-17. In the women’s division Doreen O’Connor and Veitinia Tubuna won the final after defeating Lavenia Ratumudu and Ili Seru with a score of 18-17. Bhartu and Lal had navigated their way to the top of the men’s division with an 18-16 win over Phil Taylor and Jioji Ralovo in the quarterfinals then defeated Abdul Kalim and Kushal Prasad 16-15 in the semifinals. Senibici and Turagabeci booked their men’s pairs final spot after defeating Daniel Lum On and Albert Solomone in the quarters 17-16 then proceeded to beat Martin Fong and Ben O’Connor in the semi-finals 20-18. O’Connor and Tubuna started their campaign with a 19-15 win in the quarterfinals against Maria Patel and Sala Taylor before proceeding to book their place in the women’s pairs final with a 20-14 win over national rep Litia Tikoisuva and her mother Rota Vakaloloma in the semifinals. The Fours competition will get underway today and continue until Saturday with the Pairs competition starting then and ending on Sunday.